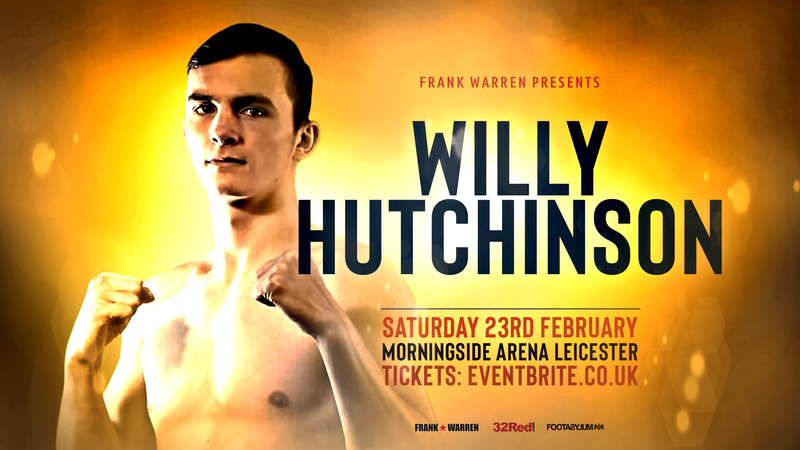 “The Hutch Train” stops at Leicester’s Morningside Arena on Saturday February 23 determined not to be derailed by any of his rivals. Promoter Frank Warren, the Scot’s manager Shelly Finkel and trainer Dominic Ingle all say Hutchinson (6-0, 4KOs) is a future world champion. Hutchinson won European Junior and World Youth Amateur titles making him the first Scot to win a world amateur gold medal. He says: “I know that people are saying; ‘I am going to be this and be that’, but you can’t take it as gospel because one shot and it goes wrong. Hutchinson, 20, teamed up with trainer Dominic Ingle last year at the famous Wincobank gym in Sheffield and his training partners include Warren stablemates Nicola Adams, Billy Joe Saunders and Liam Williams. He said: “It is unbelievable being trained by Dominic Ingle and especially being around characters like Jake Ball, Billy Joe Saunders, Jason Quigley and Liam Williams. Headlining the show at the Morningside Arena is the British super featherweight title showdown between the champion Sam Bowen from Ibstock in Leicestershire and Ronnie ‘The Shark’ Clark from Dundee along with Anthony Yarde’s WBO Intercontinental Light Heavyweight Title defense against Mehdi Amar. Local fighters CJ Challenger and Kyle Haywood do battle for the vacant Midlands Area super welterweight title, with Lyon Woodstock, Ryan Garner, Tommy Fury, Ryan Hatton and Mark Chamberlain also featuring on the card.